My great uncle, Burt Watt married Dora 'Fran' Nelson on 9 November 1916 in Marquette, Michigan. View 21 years of Stuart Lassen's Postcard Collection online. Stuart Lassen, a Battle Creek resident and businessman, donated his postcard collection to Willard Library in Battle Creek, Michigan. This collection was digitized and is available online. 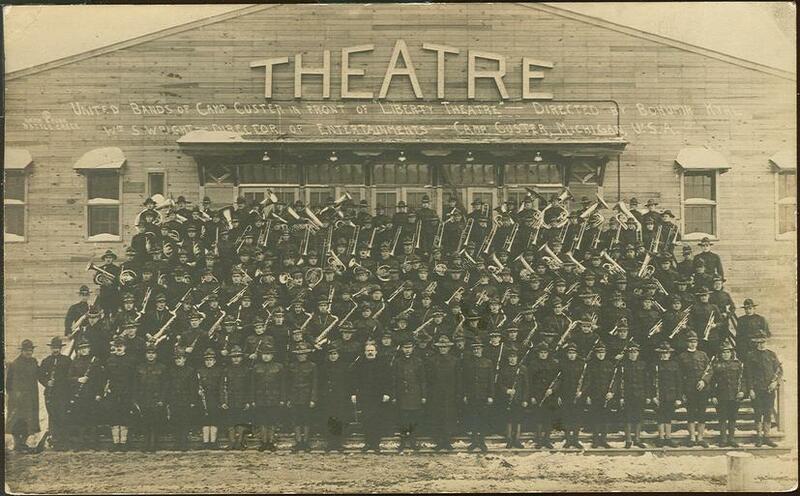 Many images in this collection depict Battle Creek history. The images include post cards, trade cards and advertisements. 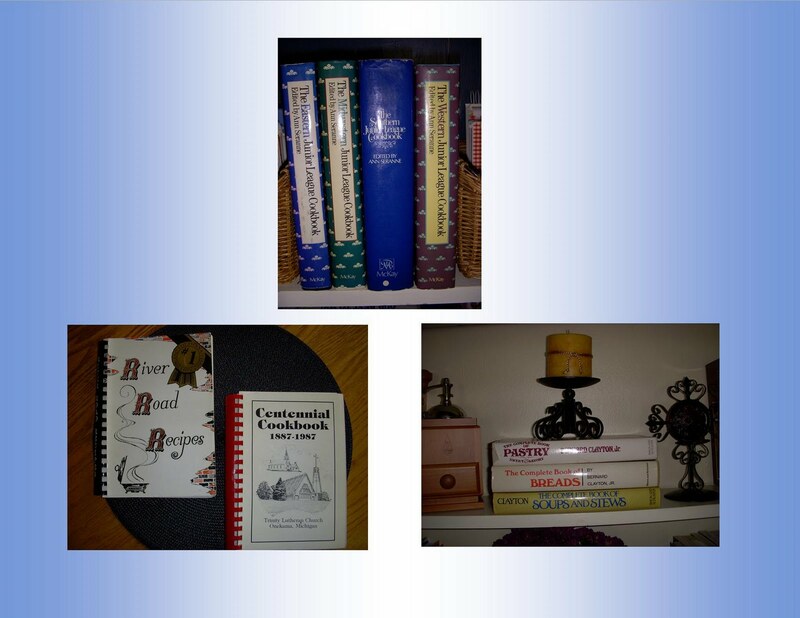 The collection is searchable by issue date, author, title and subject or you can view the entire collection. You will find individuals, businesses, places and events among the postcards. Information is included on what was written on postcard, and who it was written to and from. See a glimpse of Battle Creek's history through postcards with the Lassen Postcard Collection. One of the things I get great pleasure out of is cooking. I like trying new ingredients and new recipes. I am not one to create my own recipes, but I will change recipes to suit my tastes, omitting or adding ingredients at whim. It drives my husband crazy when he helps me in the kitchen. In addition to my love of cooking, I love cookbooks! Currently, I have around 130 (or more?) 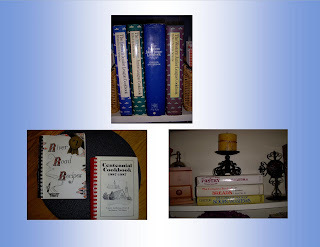 cookbooks in my collection. They range from basic (Better Homes & Gardens, Fannie Farmer, Joy of Cooking) to world cuisines (Cuisines of Mexico, Thai Cooking, Chinese Technique) to various community and fundraising type cookbooks and just about everything in between. I began my love of cooking and cookbooks in high school. The first recipes collection I bought was McCall's Great American Recipe Card Collection. I would get two packs of recipes a month and I did complete the set. Next, I bought a group of 6 or so Betty Crocker paperback cookbooks. Sadly, they have since fallen apart. I guess it shouldn't surprise anyone that I went to college and majored in Home Economics and continued my love of cooking. Throughout my married life I would get cookbooks for gifts, scour garage sales and used bookstores for cooking treasures. I also, make use of my public library and check out cookbooks to read. River Road Recipes: A cookbook from the Junior League of Baton Rouge, La. Lots of great southern and creole recipes. Eastern, Midwestern, Southern and Western Junior League Cookbooks, edited by Ann Seranne: A great collection of recipes from Junior Leagues around the country. Bernard Clayton, Jr.'s cookbooks Complete Book of Pastry, Complete Book of Breads and Complete Book of Soups and Stews: All great books of recipes. A great website for those who enjoy cooking or have an interest in the historical aspect of cooking should check out Michigan State University's Feeding America website. It's online collection includes images from 76 cookbooks from the late 1700's to early 1900's. The earliest cookbook being a 1798 one titled: American Cookery: Or, The Art of Dressing Viands, Fish, Poultry, and Vegetables, and the Best Modes of Making Pastes, Puffs, Pies, Tarts, Puddings, Custards, and Preserves, and All Kinds of Cakes, from the Imperial Plum to Plain Cake... by Amelia Simmons. It even tells you how to dress a turtle. If you need to know what an aebelskiver pan or a bain marie is, check out the section of images of antique cooking tools. Additionally, there is a glossary of cooking terms. I could spend hours reading this website. So, whether you love cooking or have a historical interest in food, Feeding America is a great website. Do you have family recipes or cookbooks that you love? Feel free to share them. Although I haven't blogged on 52 Weeks to Better Genealogy topics, I do look over the websites recommended on their weekly suggestions. One week's suggestion was to look at Federal Land Records at the Bureau of Land Management website. It is easy to search for records by going to search land patents, enter state, and last name of person you are searching for. I chose to check one of my brickwall ancestors, Daniel Fenn. I found three land patents under his name. I found land patents given to Daniel Fenn from the Detroit land office for land in Washtenaw County, Michigan Territory. Document numbers were 9093, 9094, 9095 and were for 80 acres each, for a total of 240 acres of land. They were issued 14 October 1835, two years before Michigan became a state. 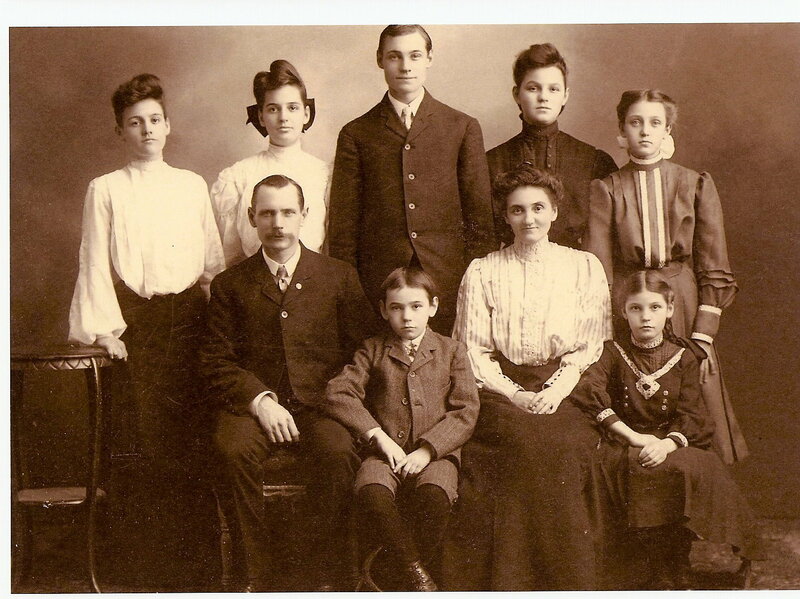 My third great grandfather, Daniel Fenn, was one of the early settlers of Washtenaw County, Michigan. Daniel Fenn and his family arrived in the Michigan Territory in 1833, settling in the Sylvan Township area. Washtenaw County, Michigan was established in 1827. This area at the time was considered a wilderness with the eastern part of the county being sparsely developed. It is now home to Ann Arbor and surrounding areas. The year before, Daniel's son, Orlo H. Fenn came with a group of pioneers from Addison County, Vermont and established what was known as the Vermont Settlement. These men are memorialized on a granite stone in Vermont Cemetery, Sylvan Township, Michigan. More information can be found in Chapman's History of Washtenaw County, pages 754-758 on Vermont Settlement. Today's Tombstone Tuesday is a Battle Creek local history one. Clinton 'Bill' Knapp of Bill Knapp's restaurant fame is buried in Oak Hill Cemetery, Battle Creek, Michigan. Bill Knapp's restaurants were found in the Midwest and Florida. Today's Follow Friday post is The Faces of My Family blog. Lisa has been blogging for about 6 months now. She says she has been visiting cemeteries since she was a child, inheriting the gene for genealogy from her mother. Her blog is an individual family history blog and features stories on her family history research. Lisa's The Face of My Family blog is a well written, informative blog to read. I especially enjoyed her 4 Part series on Preparing for a Research Trip. Her 52 Weeks to Better Genealogy Find a Grave post does a nice job of explaining the Find a Grave website. Lisa shares what she learns and the one on The Case of Catherine Moyer Brane reminded me of a cemetery trip I took once. 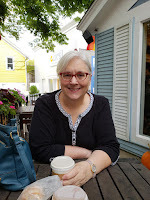 I enjoy reading Lisa's blog as I have ancestors from Indiana, where Lisa blogs from. In a field of crowded geneablogger's I am pleased to give a Follow Friday to Lisa and The Faces of My Family. Take a minute and check out her blog. Early in my research of Samuel Stillman Glover, Jr. I found his obituary in the Manistee Daily Advocate newspaper. The obituary was a very nice, front page article that filled about 3/4th's of a column. It was through this article that I read about Samuel's civil war service. I wondered how much was fact and how much was family stories that had been embellished. I sent for Samuel's civil war pension file from National Archives and Record Administration to determine the fact and fiction of his war life. Below are 5 excerpts from his obituary with fact or fiction supporting evidence. Obituary: "When the civil war broke out he was one of the first to leave his business and respond to his country's call. He enlisted in the summer of '61 in Co. H of the 1st Regiment of Mich. 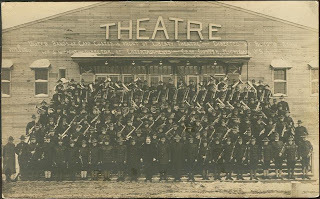 Engineers' and Mechanics Volunteers, and was immediately ordered to the front." Pension File: Samuel enlisted on 7 December 1861 in 1st Regiment, Engineers and Mechanics, Michigan, Company H.
Fact or Fiction: Mostly fact with exception of enlistment time. Obituary: "Early in '62 he was wounded in his right knee while on his way from Shelbyville to Huntsville with secret dispatches." Pension File: Surgeon's Certificate states he suffered a gun shot wound to the right knee. Captain Marcus Grant's statement explains his mission to carry dispatches from Shelbyville, Tennessee to Huntsville, Alabama. Obituary: "He was several miles from his destination when wounded (was shot through the knee) but pluckily clung to his horse until he reached the picket lines at Huntsville, when he was taken from his horse nearly unconscious and had just strength enough to say dispatches were in his shoes, that was the last he knew for weeks." Pension File: Captain Marcus Grant's statement of injury states, "at the time of the attack by the rebels upon Murfreesboro, Tenn on Sunday July 13th, 62 the exigency of the case demanding it he volunteered to carry dispatches from Shelbyville Tenn to Gen. Buell, Huntsville Alabama. While half way between Shelbyville and Fayetteville at the midnight hour he was fired upon by Guerrillas wounded and narrowly escaped capture. Arriving at the camp of the 35 Indiana about daylight Monday morning, the dispatches were then sent on to Huntsville by courier." Other information in file states he was injured crossing Elk Ridge, 12 miles from Fayetteville, Tennessee. In addition, his record shows months of hospitalization after this time. Fact or Fiction: Mostly fact, he did not reach Huntsville. Obituary: "His family at home did not hear from him and had about given him up for dead when months after he suddenly arrived in Adrian (where his family resided at that time) discharged as incapacitated from further service." Pension File: Spent many months in hospital in Nashville, Tennessee with being examined on November 20, 1862 and diagnosed for discharge with partial anchylosis of the joint rendering him entirely unfit for service and permanently disabled for life. Obituary: "He was drawing a pension of $10.00 per month. He applied several times for an increase. Some years ago he applied on account of his kidney trouble, but was rejected. The examining boards plea is that $10.00 per month was sufficient." Pension File: July 23, 1904 pension amount was listed as $10. His file shows several requests, that were denied, for increases with doctor statements concerning his health, including his kidney trouble. For the most part his obituary was factual. I think they could have 'bragged' a little more about his service. I find Samuel to be a fascinating family history subject. One I am thankful for was my great great grandfather. Ancestor Biography: Samuel S. Stillman, Jr.
Summary of a Civil War Pension File: Samuel S. Glover, Jr. I have calmed down from my previous excitement of receiving Hattie's Bible. Plus, I have made good use of the time since I received it. My main goal upon receiving it was to preserve it for future generations and to share the information that was in the bible. For preservation, I chose a metal edge archival quality box from Hollinger Metal Edge. I had to order a much larger box than needed because of the size of the bible. The bible is 10 inches by 14 inches by 4 1/2 inches. Finding a box that is 4 1/2 inches deep was hard. I purchased acid free tissue paper, too. I plan to store the bible at home. I have, gingerly, gone through the bible, one page at a time. I removed anything that was stored loosely in the pages of the bible. I found pictures, newpaper clippings, a marriage certificate, and telegraphs. Those are stored in acid free sleeve protectors. I transcribed the birth, wedding and death information written in the center of the bible. For sharing, I plan to blog about the specific contents of Hattie's Bible. Also, Carol, the daughter of the women who gave me Hattie's Bible, emailed me asking what I thought about sharing the bible records online with a site such as Bible Records Online. I thought it was a wonderful idea. Has anyone used a site such as this for their bible records? What do you think? Again, I am so happy to be the keeper of this family treasure. Please check back to see the contents of Hattie's Bible. 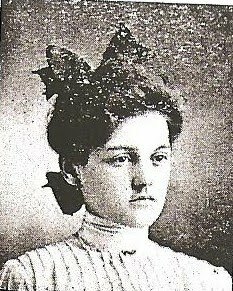 My paternal grandmother, Sarah Lilla Watt, was born 23 November 1884, in Marquette, Michigan. Sarah Lilla was the second of eight children born to David Watt and Katherine McGee. Her birth record can be found in Michigan Births 1867-1902 at the pilot family search website. It is transcribed as Sarah A. Watt. Her birth date is transcribed as 28 November 1884, but if you zoom in on original image you can see it is a 23. Sarah was known to friends and family as Lilla, rarely using her first name. 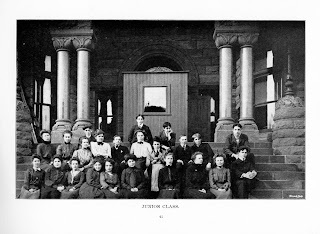 Lilla spent her school years in Marquette, Michigan. She graduated from Marquette High School in 1903. While in high school, Lilla played on the girls' basketball team. 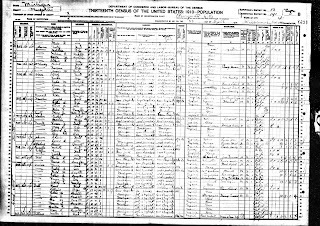 The 1910 U.S. Federal Census for Marquette, Michigan shows Lilla working as a stenographer in the mining industry. She is living at home with her parents at this time. 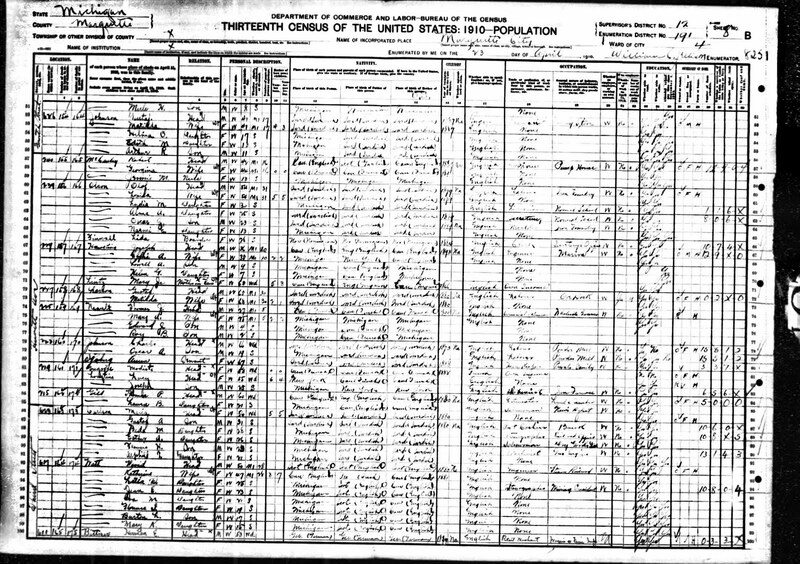 Lilla Watt married Harry Glover on 23 August 1919 in Marquette, Michigan. Baptist Minister E.M. Martinson officiated. Burt L. Watt (Lilla's brother) and Doris I. Bowron were witnesses. They were married for 31 years. Harry died in 1950. Harry and Lilla lived at 484 Cass Avenue, Detroit, Michigan after their marriage. They later moved to Reynolds Avenue, Hazel Park, Michigan around 1925. Harry and Lilla gave birth to their only child, Bruce David, in 1925, who is my dad. My dad has fond memories of growing up in Hazel Park. After Harry's death, Lilla remarried. She married, Ray Bell, a classmate of hers in Marquette. 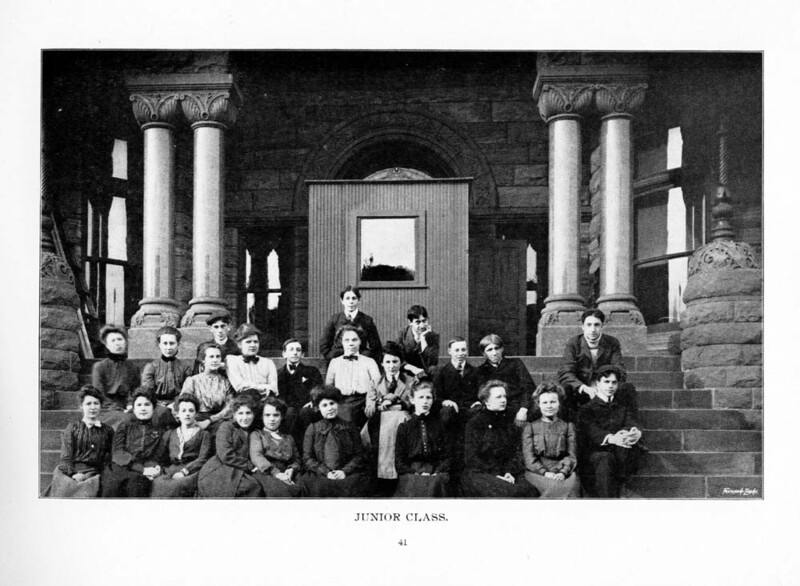 (See Junior class picture above) They were married on 22 November 1954. Lilla and Ray split their time living in Arizona and Calgary, Alberta, Canada. 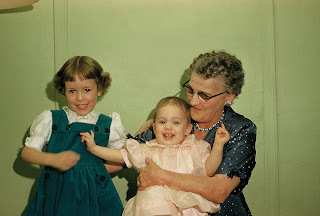 I have fond memories of my grandmother. She use to visit us when we lived in Deckerville, Michigan. I remember she loved to knit and crochet. I have a pair of slippers that she knitted me. I have doilies that she embroidered, too. I was seven when she died and I remember crying when I found out. Lilla died 31 March 1965 in Calgary, Alberta, Canada from cancer. She is buried in Queen's Park Cemetery, Calgary, Alberta, Canada. These two documents are from Border Crossings: From U.S. to Canada 1908-1935 from ancestry.com. These two records show that Harry Glover and his wife, Lilla Glover travelled from Detroit, Michigan to Windsor, Canada on 31 May 1920 for the purpose of working in Toronto, Canada. When I showed these two records to my father, he wasn't aware that his parents had lived in Toronto, or that his father ever worked there. These records are from 1920, my father was born in 1925. Harry Glover worked for Chrysler Corporation during his career. His work must have taken him to Toronto during this time. I don't know how long Harry and Lilla stayed in Toronto.